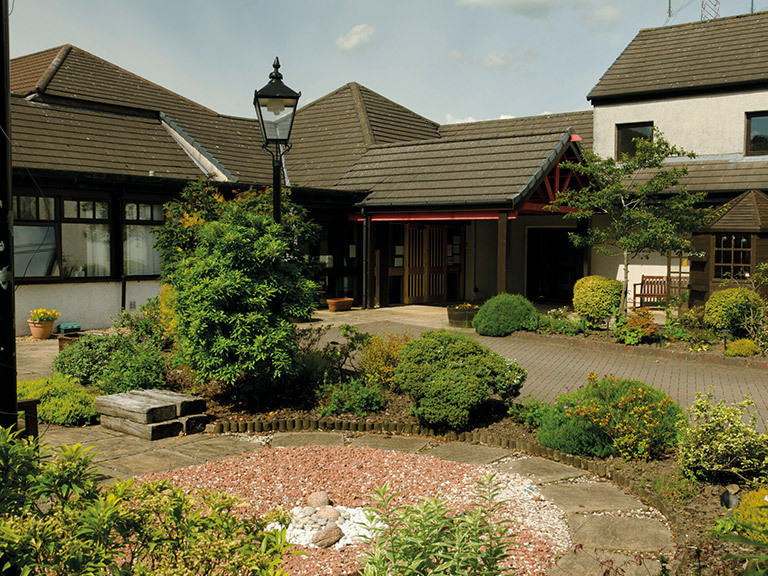 St Vincent’s Hospice serves the communities of Renfrewshire and surrounding areas, providing specialist palliative care to those living with cancer and other life limiting illnesses. Services are provided completely free of charge to patients and their families. The hospice aims for the highest standard of person centred care while ensuring choice, dignity, and an enhanced quality of life. They have an 8 bedded in-patient unit, all of which are single bedded rooms, with overnight accommodation available for family members. Bed occupancy remains high with the average length of stay recently being 20 days. St Vincent’s Day Hospice is attended by patients living in the community. The purpose of the Day Hospice is to support patients and their carers. Coming to Day Hospice provides companionship and social support which helps reduce isolation, fears and anxiety. These services include a range of therapies provided by specially trained nurses, doctors, chaplains, family support workers, and other professionals. St Vincent’s Hospice also delivers services on an outreach basis directly to patients in the community. These include home visits, face to face meetings, and phone contact as appropriate from our Consultants, Specialist Palliative Care Nurses, or other healthcare professionals. This type of support covers a number of patient challenges including pain control, symptom management, medication review and emotional support all aimed at enhancing the patient’s quality of life while at home. Other services provided by St Vincent’s Hospice include a 24 hour advice service to professionals, patients, and carers. Also Patient and Family Support Services which includes social work, family support, child counselling and bereavement support. In addition to clinical services, the hospice provides specialist education services to other professions who provide palliative care in the community and hospital settings. It costs £5,000 per day to run the services provided by St Vincent’s Hospice, over half of which comes from voluntary donations. The changing society, the consequences and challenges that this presents joined with the hospice’s long term financial position, means that St Vincent’s Hospice needs support to enable it to continue to provide crucial services to enhance the lives of those living with cancer and other life limiting illness. Profits from the Local Hospice Lottery help towards St Vincent’s Hospice’s running costs and provides a regular stream of income which they can rely on receiving, each and every month. Not only does this help to provide essential care and support to local families right now, it also enables the Hospice to plan and develop their services for the future. St Vincent’s Hospice is one of a number of hospices throughout Great Britain supported by Local Hospice Lottery and Local Hospice Lottery will give between 50% and 80% of profits from individuals playing in support of St Vincent’s Hospice to St Vincent’s Hospice. This is expected to be at least £750,000 over five years from April 2018. For each £1 entry in the weekly draw Local Hospice Lottery gives an average of 60p to hospice care.